GRAVES’ DISEASE (also known as ”toxic diffuse goiter”) is likely resulted from an antibody that isstimulates the person’s thyroid to produce excessive amount of thyroid hormone. 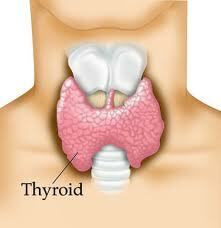 Patients who have Graves’ disease experience hyperthyroidism signs and 3 additional distinctive symptoms. Since the whole gland is stimulated, it may become significantly enlarged, resulting in goiter (a bulge in the neck). Individuals with this disease can also have exophthalmos (bulging eyes) and sometimes, raised skin parts over the shins. An eye bulge outward , because of substance that is building up in the orbit. Such bulging happens additionally to the intense stare and other eye changing of hyperthyroidism. The muscle that moves the eye becomes unable to function appropriately, making it impossible or difficult to coordinate eye movements or move eyes normally, causing double vision. The eyelid can not close completely, exposing the eye to dryness and injury from foreign particles. Such changes of the eyes can start years before any other hyperthyroidism symptoms, providing early clues to Graves’ disease, or it might not even happen unless other symptoms are noticed. Symptoms of the eyes can even worsen or appear after the excessive secretion of thyroid hormone has been treated and controlled. These symptoms can be helped by elevating the bed head, taking diuretics, sleeping with the eyelids taped shut, and applying eye drops. The double vision can be helped by using eyeglasses prism. Finally, eye surgery, orbits x-ray treatment, and corticosteroid medications may be required. In cases of Graves’ disease, a substances similar to the substance collected behind the eye can be deposited in the person’s skin, generally over the skin. The thickened part can be red and itchy, and feels hard when pressed with fingers. 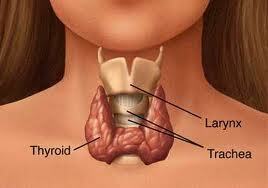 The problem can start after or before other hyperthyroidism symptoms are noticed. 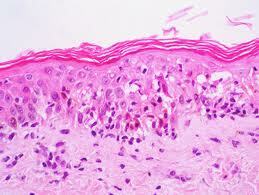 Corticosteroid cream or ointment may help relieve hardness and itching. 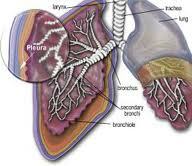 Frequently, the problem dissapears without the need for treatment on its own from months to years later.